VITOG T12 wireless earphones features dual ear stereo design, left and right ear channel separation. You can use the headset solely, or used them in pairs of stereo mode. They weight of only 4g, mini size and 3 sizes of earcaps provide you long time wearing comfort, and guarantees stability when walking, running and more. Built-in high-sensitivity microphone, reduces ambient noises and grasps the detail of voice, ideal for in-car calling or working use. 40mAh rechargeable battery in each earphones ensures 2 hours of working time. Coming with a 280mAh charging box, which enables the earphones charging for about 3 times. The earphones are charged automatically in the charging box and stop automatically after fully charged. Adopt soft and environmental silicone ear caps, wearing comfortable. Use special technology to cover the appearance, to protect the earphones well from damage. Bluetooth version 4.1 technology, adjusted the influence of old profile, improved compatability and stability. Equipped with a mini charging dock, convenient for personal carry, supplier the electricity with a long time when outdoor travel. Mini design and light weight, no any pain and uncomfortable feeling in ear. Magnetic charging method of earphones automatically charging until full power, protects from over charging. Charger of 5V 1A or USB port both can be charged, red light will be showed during harging, blue light will be showed once full charged. Small and exquisite shape satisfies the diversified demand. With the CVC6.0 noise canceling technology, you can enjoy the clear music and calls. 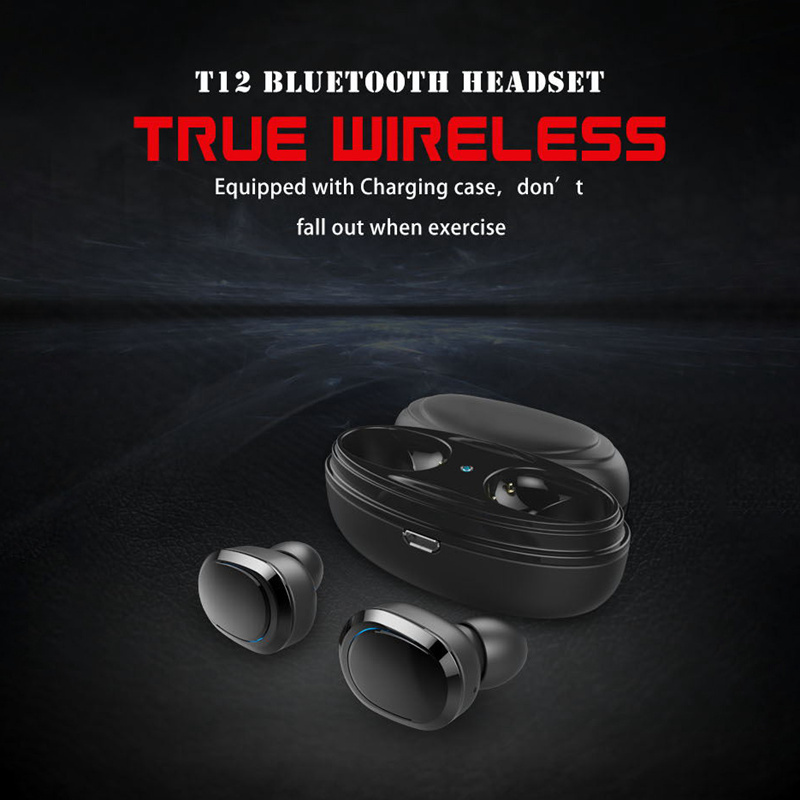 The Bluetooth earphones are compatable with all kinds of Bluetooth devices such as mobile phone, ipad and so on.